Green Chemistry is pleased to announce the Green Solvents for Synthesis web collection is now online. This collection of articles is based on presentations at the Green Solvents for Synthesis meeting held in Dresden, Germany, October 2014. The Guest Editor is Professor Walter Leitner (RWTH Aachen, Germany), Chair of the Green Chemistry Editorial Board. Below is a selection of some of the articles included in the themed collection and you access the full collection online. 2016 is the Silver Anniversary for the field of Green Chemistry being 25 years since the term “Green Chemistry” was coined and defined in 1991. To mark this occasion, the 2016 Issue 1 of Green Chemistry features an Editorial looking at the journey of the field to date and introducing an initiative designed to stimulate discussion on the vision for the field. You can read the Editorial by Paul Anastas, Buxing Han, Walter Leitner and Martyn Poliakoff here. We have asked colleagues from the Editorial and Advisory Board of Green Chemistry to comment on individual Principles that relate to their specific area of expertise and to share their personal views with our community. 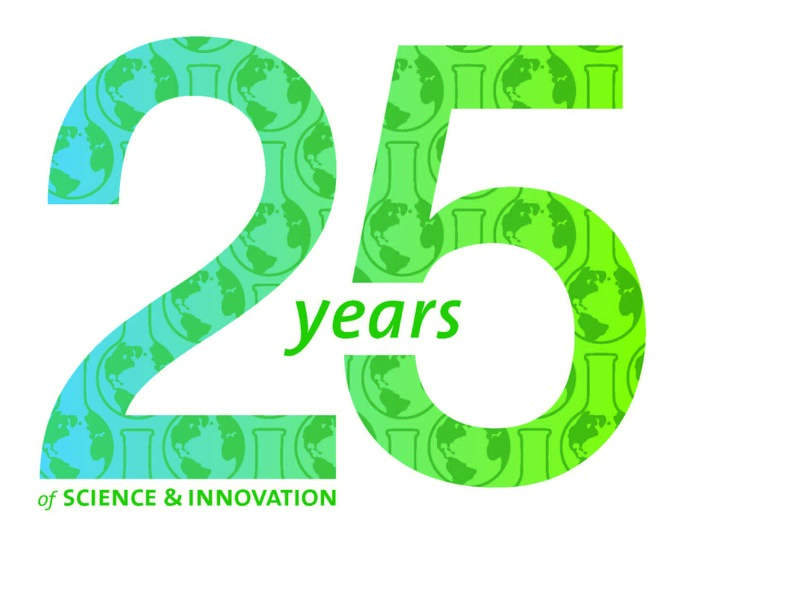 Every month of 2016, Green Chemistry will feature one such perspective Editorial (collated online: rsc.li/gc-25years) hopefully initiating a lively exchange of views and ideas here on the Green Chemistry blog. We encourage you to use the comments facility below to share your views on each principle. The Editorials are not meant to provide answers, but to stimulate questions on how the Principles have influenced research agendas, how they connect to challenges and opportunities that may not have been visible twenty five years ago, why they are still valid or what needs to be adjusted, etc.. Most importantly, the aim is to not primarily to look back in praise of the undisputable achievements, but to provide a vision towards celebrating the Golden Anniversary of the field in 2041 and beyond. Green Solvents – Mission Completed or Mission Impossible? The search for alternatives to volatile organic solvents is one of the continuing major themes in Green Chemistry. “Solvents” are explicitly mentioned in principle 5 of the 12 Green Chemistry Principles, but their use impacts of course also directly on issues such as waste prevention, energy efficiency, and safety. The search for alternative materials and concepts to facilitate solution phase processes towards the goals of sustainability forms a natural link between Green Chemistry and Engineering. Since the year 2000, the biennial conference “Green Solvents” brings together researchers from academia and industry, as well as students, to discuss the progress in science and application in this area. As in previous years, the presenters at the 2012 edition of the conference have been invited to contribute a review or original research paper to the journal and you will find the resulting articles bundled in this issue. The organization of six editions of this meeting together with Peter Wasserscheid and Ken Seddon has been scientifically most rewarding and personally a real pleasure. The concept to organize the program without parallel sessions, arranging it according to the scientific and technical challenges rather than the materials or methods has led to most fruitful interactions and stimulating discussions. One of the most striking developments reflected across the board is that the advanced fluids such as ionic liquids, supercritical fluids, water, or liquid polymers are often not adequately described as “solvents” when used for molecular transformations or separation techniques. They act as additives, stabilizers, matrices, switchable components, catalysts, etc. Unlike with traditional solvents, only very small amounts of the fluids are often required, for example to combine reactivity and separation in catalyst immobilization. Smart systems change their properties upon external stimuli or directly interact with reactive components to steer a reaction. Reaction engineering concepts for flow chemistry open new approaches with these materials and vice versa. So, are we at the stage “Mission Completed”? Actually – I don’t really think so: striving for sustainability is an iterative process and if we are doing well, we can always do better! Immobilizing a catalyst today, we are already satisfied if it retains largely its activity and selectivity from solution; very often, we find that the supporting matrix interacts with the catalyst leading to a reduced performance. There is no reason why the interaction should not lead to an activation or increase in selectivity! In fact, there are a – still slowly – increasing number of observations that support this idea. Is it possible to switch not only between solubility properties, but also between reactivities? How can heat exchange be controlled in reactive systems without using solvents? Can we use fluids that stabilize nanoparticles for the control of their reactivity just as we use ligands to control single site catalysts? If we find such seemingly elegant solutions, will they really improve the sustainability of industrial process chains upon implementation? We are far from giving satisfactory answers to these and many more very fundamental questions! Solution phase synthesis is dominating the fine chemicals and pharmaceuticals industry, and resource and energy efficient production is increasingly making a difference in the business models of these sectors. Material synthesis and processing is also highly depending on the liquid phase. Utilization of biomass requires solution phase processes even in the very early stages of the supply chain, in large scale bio-refineries just as well as for decentralized operations. Chemical transformations lie also at the intersection of the energetic and chemical supply chain. In all these crucial areas of application, novel concepts and materials for solution phase processes can make a difference! Therefore, I am already today looking forward to the next edition of the “Green Solvents” conference: it will be held in Dresden, Germany, from October 19–22 2014 (for details, see: http://www.dechema.de/gsfs2014). If you enjoy reading the articles in this issue, if you share the enthusiasm for the exciting scientific challenges in this area, or if you see potential connections to your own research, you don’t want to miss this event! As the year draws to a close, here is a list of the top 10 cited review articles in Green Chemistry in 2012 – all free to access until the end of January 2013! Stay up-to-date with the latest news and content in Green Chemistry by registering for our free table of contents alerts. 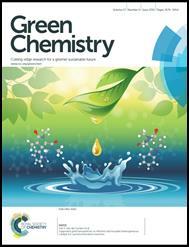 In January 1999 the first issue of Green Chemistry was published with an Editorial written by James Clark, setting out his vision for the Journal. To mark the occasion of the Journal entering it’s fifteenth year of publication in 2013 we will be having a number of interesting articles asking those scientists who have contributed to the Journal strategy to reflect on how the subject has changed over the last 15 years and asking them for their vision on the subject in the future. We will also be highlighting those papers that have been most cited over the years – the papers that you as readers have been citing the most. Details about all of these activities will be posted on the Green Chemistry blog throughout 2013. One of the simplest and most utilised chemical reactions is the burning of hydrocarbons and while combustion is an excellent way to exploit the energy content of this naturally occurring resource, there is a lot more we can do with the ‘inert’ C-H bond. C-H activation allows us to convert cheaper hydrocarbon starting materials into more valuable and versatile products; leading to the development of a wide range of reagents and catalysts that activate C-H bonds. To keep you up to date with the latest developments in the field we have created this article collection, where all articles are free to download until 15th December. 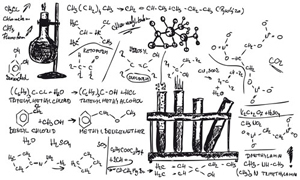 Low melting mixtures in organic synthesis – an alternative to ionic liquids? Fancy submitting an article to Green Chemistry? Then why not submit to us today or alternatively email us with your suggestions.